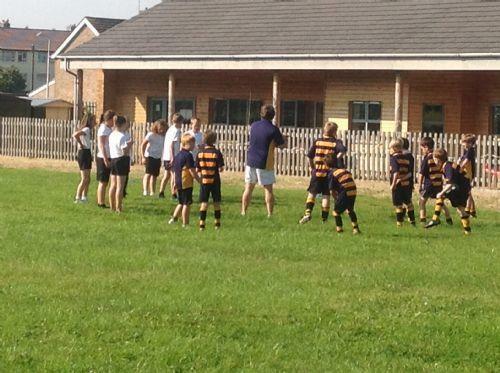 Rugby coaching with Sidcot School. 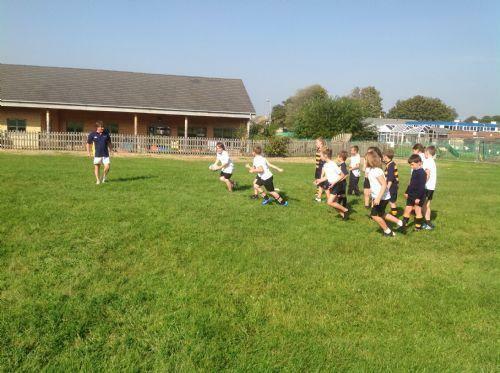 Today Monday a group of children from year 6 took part in a Rugby coaching session with a group of children from Sidcot School. 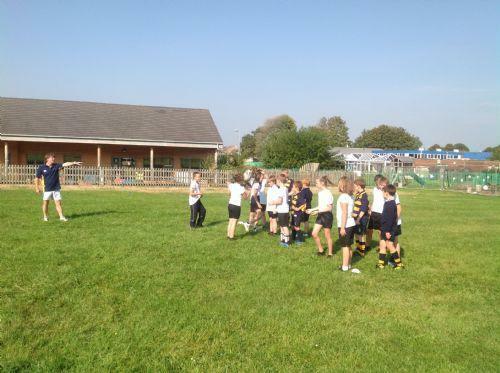 During the session the children learnt how to hold the ball correctly, pass the ball and the basic rules of tag rugby. 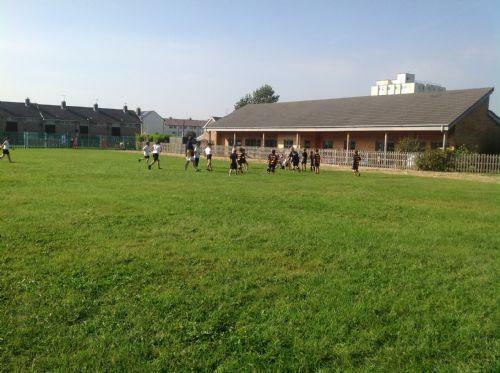 The children ended the session with a short game of tag rugby.